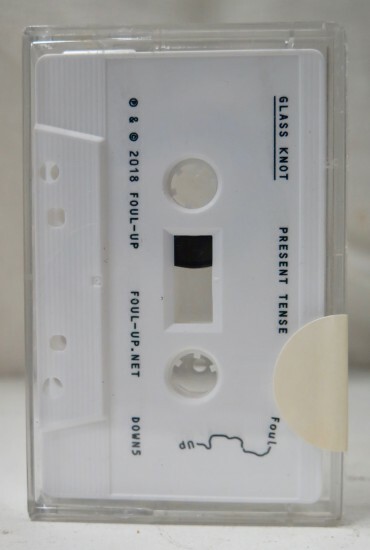 Flowing energies and social pressure, high expectations and pathetic fails, driving rhythms and cheerless inertia, so-called integration but effective exclusion; these are some of the opposite poles reeled out of the debut full-length delivery of Glass Knot (Lasse Bjørck Volkmann aka Metalized Man, and Nicolai Vesterkær Krog aka Misantrop) on Foul-Up. ‘Present Tense’, is a multi-level sonic object whose large-scale reach only equals the profoundness of the tale of love and hate it discreetly tells – in between the lines. Laying down a hot-blooded mixture of warped industrial rhythms, chopped-up breaks, off-kilter drones and hi-NRG anti-techno with a strong punk attitude, the seven tracks blaze their trail away from expectations and norms.